Thank you for your interest in the important work of Buffalo Field Campaign. We are happy to arrange interviews and/or provide you with our media kit, which we can tailor to your needs if you let us know what you are seeking. We can also provide video and photographs for professional publishing. For samples of our imaging, please visit these two pages—our video gallery and photo gallery. 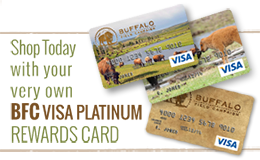 Sign up to receive press releases directly from Buffalo Field Campaign. and photographs with members of the media.